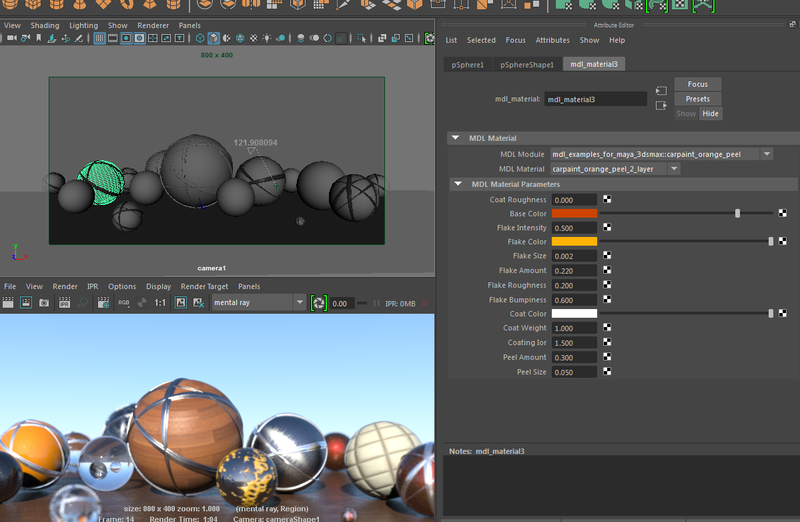 mental ray 3.13 supports many features of the Material Definition Language from NVIDIA. Maya 2016 allows you to use custom libraries of MDL materials in a limited fashion for this initial integration. The official mental ray blog has posted directions on how to take advantage of MDL in their post today from Sandra. Future integrations will improve the capabilities and supported features inside Maya. I am a VFX artist that specializes in Lighting and Rendering. I spend a fair amount of my time supplying clients with artistic solutions as well as technology solutions. With a background in fine art and technical animation training, I strive to bridge the divide between the artist and technologist. Posted on May 8, 2015, in Uncategorized. Bookmark the permalink. 14 Comments. These are great! Very simple to set up and intuitive to use. Are there existing packages online, in addition to the examples provided, that we can download? Can we use iray packages? You can try Iray MDL but not everything is supported yet. Some will crash. Others may not work, for example: dispersion is not supported. ok thanks. Is there an mdl writing utility? something like slim for reyes? No, not yet. But since mental mill, I can imagine they would think of an authoring tool. Wouldn’t hurt to request one though. Isn’t an MDL what is used in iRay ? What benefit is theere for it to be used in Maya, if Maya doesn’t have iRay ? Iray has the modern integration. mental ray will catch up but supporting all features will take more time. Iray was built in MDL. To clarify on Christopher’s comment, MDL itself is very full-featured. But yes, the integrations, the libraries available as standard, the recommended practices for creating your own, all these things will evolve quickly. Check the license agreement clause 2.2 and 2.3 before doing anything with MDL. 2.2 and 2.3 are to protect other licensed technologoes by NVIDIA. For example: if you use MDL you are not given license to use other technology (e.g. rQMC) as part of the implimentation without paying for the separate licenses.